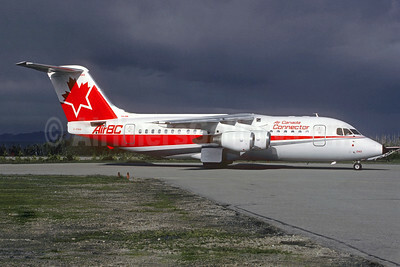 (ZX/ABL) (Vancouver) 1986 - 2001 (became part of Air Canada Jazz). Photos. Framable Color Prints and Posters. Digital Sharp Images. Aviation Gifts. Slide Shows. Air Canada Connector - Air BC BAe 146-200 C-FBAV (msn E2121) YPR (Christian Volpati Collection). Image: 927509.